Bright open concept bungalow in popular Greenwood Park. 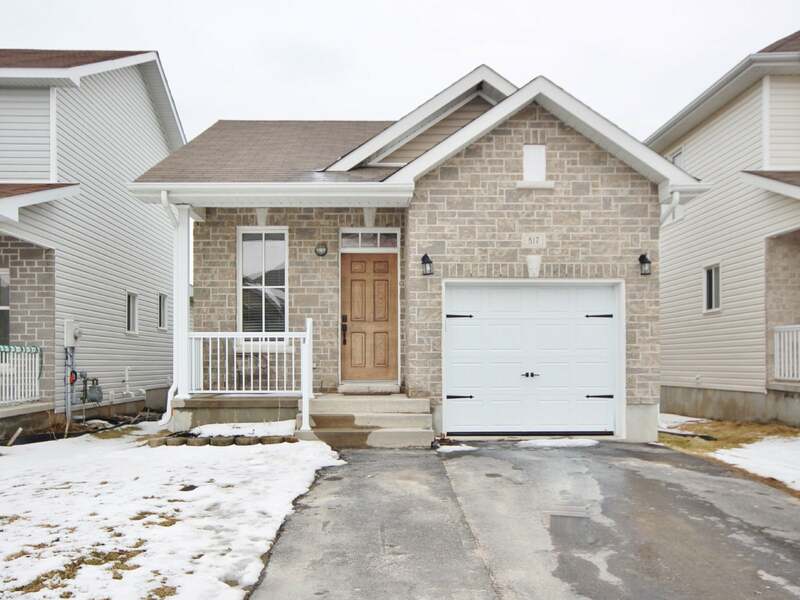 Ideally located close to schools, CFB Kingston, RMC, 401, shopping and downtown! Featuring inviting front porch, spacious tile foyer, freshly painted main floor living spaces with 9ft ceiling height. Large kitchen w/ceramic tile floors, island and stainless appliances (brand new stove). Large living/dining room with patio door to new deck and fully fenced rear yard. 2 bedrooms including master with walk-in closet and 4-piece main bath incl. tub/shower with tiled walls. Fully finished lower level offers large rec room, den, office spaces with laminate flooring, pot lighting and 5” baseboards plus 3-piece bathroom with 5ft tile/glass shower. Lots of storage, central air, HRV and central vac rough-in plus attached garage with additional storage and garage door opener. All this just steps to 2 schools and close to all amenities including brand new Riverview Shopping Centre! Don’t miss out, book a private viewing today! Lot Size 30 x 105 Sq. Ft.